The mutual fund world spans literally thousands of available options across just about every category you can think of. It might be true that exchange-traded funds (ETFs) are eating mutual funds’ lunch, but mutual funds still command $16 trillion in lunch … er, assets. And the ones that are standing strongest are the ones with the best mutual fund managers at the helm. Of course, there are countless fund managers who boast excellent returns depending on what time period they boast about. But not all actively managed funds gain on the merits of their advisers — many just happen to be in the right place when the bull starts to charge. And many of those same managers can get mauled when the bears come back out to play. So how do you find the best mutual fund managers on the market? Well, you have to sift through quite a bit. For instance, even top portfolio managers can go through dry spells. A prime example of this is Bill Miller, whose Miller Opportunity Trust (MUTF:LGOAX) beat the S&P 500 from 1991 to 2005 — but his returns dropped perniciously for a few years before he regained his mojo. In light of all this, the best thing you can do is focus on funds that represent core investment strategies, then study track records for both quality and consistency. No fund manager will be perfect, but they’ll be good a lot more often than they’re not. Which funds — and thus which managers — make the list? Here’s a look at nine of the best mutual fund managers out there, and the five top-flight mutual funds they oversee. The small-cap category is one of the best targets for active management. Small caps are easily overlooked because larger-asset funds are unable to buy meaningful positions, so the best fund managers can get strong returns from skillful stock picking. A standout in the space is the Neuberger Berman Genesis Fund Trust Class (MUTF:NBGEX), which has $11.2 billion in assets. Mutual fund managers Judith Vale and Robert D’Alelio have been at the helm for 20 years together, so they have quite a bit of experience navigating tough market conditions. The approach here includes long-term and value investing, with NBGEX sporting a surprisingly low portfolio turnover of about 16%. Some of the top holdings at the moment include Pool Corporation (NASDAQ:POOL), West Pharmaceutical Services Inc. (NYSE:WST) and Sensient Technologies Corporation (NYSE:SXT). While small caps can ebb and flow significantly, NBGEX has gotten the job done, averaging 12.6% in annual returns over the past five years. Despite what the name might otherwise imply, the T. Rowe Price Dividend Growth Fund (MUTF:PRDGX) fund doesn’t boast much in the way of dividends, at just 1.4% in current yield. But yields are muted right now thanks to rising share prices, and besides — PRDGX’s main goal isn’t dividend yield, but dividend growth as a measure of quality in the large-cap category. In terms of returns, PRDGX has delivered. The mutual fund is averaging 14.5% per year over the past five years, and while its 10- and 15- year averages are in the 7%-8% range, that puts T. Rowe Price Dividend Growth in the top quintile for those periods. Manager Thomas Huber has been with the fund since 2000, and he looks for growth opportunities at a reasonable valuation. As a result, PRDGX tends to perform better during times of market turbulence. Top holdings currently include JPMorgan Chase & Co. (NYSE:JPM), Microsoft Corporation (NASDAQ:MSFT) and UnitedHealth Group Inc (NYSE:UNH). PRDGX is also very much a buy-and-hold fund, with portfolio turnover of just 11%. BlackRock, Inc. (NYSE:BLK) is a colossus in the asset management industry, with more than $5.4 trillion in assets under management. The firm has 135 investment teams that span 30 countries. It also sports a wide assortment of investment options, whether that’s ETFs or funds that provide active management. Early on, BlackRock’s founders focused on building a platform that would provide for strong risk management — critical when it comes to areas like bond and credit investments. But the strategy has paid off nicely. One of the firm’s top bond funds to consider is BlackRock Total Return Fund Service Shares (MUTF:MDHQX), which has $10.2 billion in assets. The fund’s lead managers, Rick Rieder (also CIO of Global Fixed Income) and Bob Miller, tend to base their decisions on macro considerations, such as global economic growth and geopolitics. Performance has been solid, with a 10-year average of 4.22% annually. Also, investors can typically get better prices on alternate share classes depending on the amount they invest and whether it’s held in a retirement account. Exposure to foreign markets can provide potentially higher returns and improved diversification. But finding the opportunities requires having mutual fund managers with strong track records. So what fund fits the bill? Well, I like the Oakmark International Fund Investor Class (MUTF:OAKIX), which has a whopping $33.4 billion in assets under management and focuses on large-cap foreign securities. Portfolio managers David Herro and Michael L. Manelli has been at OAKIX since 1992, and they also have the help of six analysts that have been at the fund for varying amounts of time. Right now, they like British miner Glencore, London-based Lloyd’s Banking Group PLC (ADR) (NYSE:LYG) and French bank BNP Paribas. Foreign actively managed mutual funds typically have high expense ratios, but that’s not the case with OAKIX, which charges just 1% annually, leaving more returns for you. Those returns have been generous, too, with the fund throwing off 13.8% in annual returns on average since 2012. Emerging markets can be a source of explosive growth … and explosive risk. The risks of markets like Brazil, China and Russia are myriad, thanks to higher vulnerability to political unrest and less-regulated markets. That’s why it’s vital to have strong active management. The managers include Mark Denning and Robert Lovelace, who have been at the helm since 1999, but they also have help from a team of managers that boast decades of experience in the investment industry. NEWCX has a broad mandate that allows the managers to invest in equities as well as bonds. In fact, the company can even invest in U.S. companies such as Alphabet Inc (NASDAQ:GOOGL) — the fund’s top holding at the moment — that have exposure to emerging markets. But other EM funds include Taiwan Semiconductor (NYSE:TSM) and South Korea’s Samsung Electronics (OTCMKTS:SSNLF). The five-year average performance of 7.5% annually doesn’t seem all that outstanding, but emerging markets can be choppy. The past year’s 21% returns are an example of just how potent NEWCX can really be. *Note: The 1% load fee only applies if you sell the fund within a year. Tom Taulli runs the InvestorPlace blog IPO Playbook as well as OptionExercise.com, which provides interactive tools & services for employee stock options of pre/post IPO companies. Follow him on Twitter at @ttaulli. As of this writing, he did not hold a position in any of the aforementioned securities. 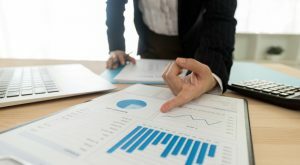 Article printed from InvestorPlace Media, https://investorplace.com/2017/05/5-of-the-best-managed-mutual-funds-on-wall-street/.